When people think of sleep disorders, they commonly think of insomnia, but there are many sleep disorders and some that pose a much greater danger. Narcolepsy is one such condition, which poses safety dangers, as well as creating health hazards. According to the National Institute of Neurological Disorders and Stroke, narcolepsy affects approximately 135,000 and 200,000 people in the U.S. alone. While you can get narcolepsy at any age, most people begin noticing the symptoms in childhood or early adulthood. Narcolepsy often goes misdiagnosed, so it is possibly that many of your sleeping problems are from this disorder, without you ever knowing about it. Depending on the severity of the symptoms, it’s possible for some people to suffer from narcolepsy without even realizing it. By taking the opportunity to understand more about this particular sleep disorder, you may be able to identify a need for treatment. Like most sleep disorders, there are treatments that can improve the quality of your daily life. While learning about different sleep disorders, especially if you have been struggling to get adequate sleep, it is important to learn more about narcolepsy. The following pages provide you an inside look into what this sleep disorder is, the common symptoms, and how it can be effectively treated. The first thing to understand about narcolepsy is the definition and what exactly makes it a sleep disorder, not to mention the different types. While narcolepsy is characterized as a sleep disorder, it can affect your daily life in a number of different ways. Commonly, it’s defined by excessive sleepiness, even when you believe you’ve had enough sleep. The condition is also defined by episodes of sleep paralysis and hallucinations. Another frequent element of the condition is cataplexy, which is the loss of muscle control. In cataplexy, the loss of muscle control can either affect the entire body, or just specific parts of the body, usually following a strong emotional response. Fits of laughter, or anger, can be enough to trigger this type of episode. Since cataplexy doesn’t occur in all cases of narcolepsy, this symptom helps distinguish the illness. Another important thing to understand about this sleep disorder is that there are different types. It is not always the severe form where you see a movie in which a character falls asleep while standing or walking. There are more minor types that simply causes sleep disturbances. Type 1 – Type 1 narcolepsy is the condition in which cataplexy is a symptom, while type 2 narcolepsy doesn’t include the loss of muscle control. Those with type 1 can be identified by a slack jaw, weakness of the limbs, or a weakened torso. Narcolepsy primarily concerns feeling sleepy, however. The feeling of tiredness becomes so extreme that the individual can fall asleep, while performing other activities. It’s not uncommon for a person with narcolepsy to fall asleep, while driving a vehicle, performing work-related tasks, or doing household chores. In these instances, the individual must rely on the support they get from friends, co-workers, and family members as a means of keeping them safe. Type 2 – If you have ever heard the term cataplexy, then you might have a good idea about type 2 narcolepsy. This is the type of narcolepsy that causes extreme tiredness throughout the day, with less severe symptoms experienced, though you don’t usually have muscle weakness like type 1 sufferers typically have. The underlying cause of narcolepsy is still unknown, though we do know the condition manifests as the result of genetic abnormalities. For instance, type 1 narcolepsy results from insufficient production of the chemical hypocretin, which is produced in the brain. The brain relies on hypocretin, because it helps regulate wakefulness versus REM sleep. When the chemical isn’t produced normally, the brain has difficulty differentiating between these two states. When episodes of cataplexy manifest, the amount of hypocretin is especially low. There’s no known reason for the insufficient production of hypocretin, but researchers believe it’s the result of an autoimmune deficiency. While there’s strong belief that narcolepsy is the result of genetic abnormalities, it’s rarely passed from parents to children. In only 1% of cases, the child inherits the condition from a parent. Finally, narcolepsy has been linked to the swine flu, which is also known as the H1N1 flu. It can also be caused by the administering of a certain type of the H1N1 vaccine, which is only used in European countries. Researchers are unclear as to why the H1Ni flu, or some of its vaccines, cause narcolepsy. When a normal sleep pattern begins, the individual first experiences a condition called NREM sleep, or non-rapid eye movement sleep. This is a process that lets your body know it’s falling asleep, as brain waves are slowed and the body is prepared for REM sleep. 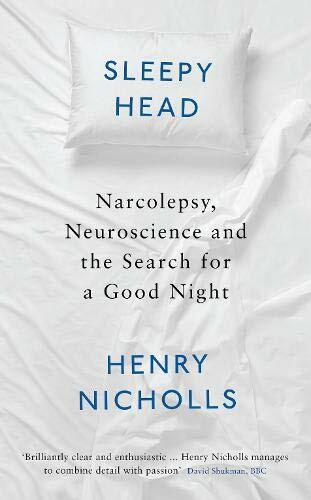 However, in narcolepsy, the brain skips over NREM sleep and instantly jumps into deep REM sleep patterns. So, when a person might be nodding off, NREM sleep makes them aware that they’re falling asleep, when they shouldn’t be, and they’re able to jerk themselves awake. This failsafe doesn’t exist in people with narcolepsy and they instantly fall into a deep sleep. As narcolepsy first develops, the person will likely experience these symptoms to a severe degree. Although the symptoms will never completely go away, they usually do decrease in severity and frequency. The individual will likely feel tired all of the time and, as previously mentioned, will typically fall asleep at odd times. Regardless of the person’s activities, throughout the day, they may fall asleep suddenly and in the midst of performing complex tasks. The individual may stay asleep for just a few minutes, or they can sleep for up to half an hour. When they awaken, they often feel energized, though that feeling won’t last long and they will feel sleepy again, before long. Even when the individual isn’t asleep, his, or her, concentration will be compromised. The individual often lacks mental focus and has difficulty remaining alert, no matter what the circumstances. This can inhibit the person’s ability to function and perform work-related duties. As cataplexy is a prominent symptom of narcolepsy, a closer look at the condition is necessary. It involves the sudden loss of muscle tone, resulting in the slackening, or weakening, of muscle throughout the body. It can also cause slurred speech, because the muscles in the mouth and throat can be affected. Episodes may be brief, or they may last up to several minutes. The emotions that stimulate the onset of cataplexy are usually positive, such as excessive laughter, or intense feelings of joy. Anger and rage can also cause an episode to manifest, however. When it does occur, the head may drop uncontrollably, or there may be a buckling feeling in the knees. Episodes of cataplexy may be rare with the individual experiencing no more than a couple per year, or they may be more severe and common. Some people with narcolepsy experience several cataplectic episodes a day. This may be the most unsettling symptom of narcolepsy, because it involves the inability to move, or to speak. Episodes typically occur upon waking, or just before falling asleep. Although they don’t last long, anywhere from a few seconds to a couple of minutes, they are very frightening experiences. Individuals often recall the episodes afterward, commenting that they had no control over their bodies. In itself, sleep paralysis isn’t always indicative of narcolepsy. In people with narcolepsy, the sleep paralysis mocks the temporary paralysis we all experience in REM sleep. The only difference is that it occurs, before we fall into a deep sleep. In itself, sleep paralysis may be considered a separate and unique sleep disorder. As the individual wakes, or as he falls asleep, he may experience hallucinations. This can be something as simple as believing someone is in the room with you. Typically, it’s believed that these hallucinations are actually dreams that the person has begun to experience, before they have fully fallen asleep, or before they have fully awoken. This may explain why they’re especially vivid and seem real to the individual. One of the reasons you often have excessive tiredness throughout the day is because you don’t get the best REM sleep. This is your rapid eye movement, which occurs during a deep sleep. If you have narcolepsy, you can achieve REM at any time, the problem being you might not be fully asleep when this happens. It can feel like you are dreaming in the middle of the day just while resting and not even in a place where you should be napping or sleeping. It is also not uncommon to have some other behaviors that signal a sleep disorder like narcolepsy, such as having sleep apnea where you stop breathing for short periods of time in the middle of the night, or sleep walking behaviors like going to the kitchen or using the restroom while you are still sleeping. If you have any of these symptoms, it is a good idea to talk to your doctor and discuss whether or not you might have this condition. If you think there is a possibility that you have narcolepsy based on the symptoms listed previously, the first thing you should do is talk to your doctor. They will likely ask you about your medical history and run tests to determine if this is the sleep disorder you are suffering from. As with most issues, you first need to get a firm diagnosis. This often begins with seeing your doctor and going over your symptoms. They will want to not only try to get a diagnosis for narcolepsy, but rule out other possibilities as well. After all, many of the symptoms, like daytime fatigue and muscle changes, could be symptoms of other medical conditions. Once they have gone over your symptoms, your doctor will probably want to discuss your family and medical history next. While there is not an exact cause of this sleep condition, many researchers believe that there is a strong genetic link. So, if your mother, father, or grandparent had it, there is a higher chance that you will have it as well. Looking at your own medical history is typically a good way to rule out other potential reasons for the symptoms you have been experiencing. A sleep study might be performed if your doctor is suspecting narcolepsy or another sleep disorder. This can be done before or after other tests, depending on the severity of your symptoms. Sleep studies can only be performed by sleep specialists, who will have you come visit a special sleep center. There, they will go over any tests you have already had done, look at your symptoms and medical history, and possibly perform other tests during the sleep study. They want to see what happens while you sleep to determine if you might have narcolepsy. When you are doing a sleep study, the first test they will probably want to perform is called a polysomnogram test, or PSG test. It is done overnight, which is why your doctor probably won’t perform this test themselves. The PSG test measures different stats while you are sleeping, such as your heart rate, eye movements (checking for REM), blood pressure, and any brain activity. They want to know how long it takes to fall asleep, how long you stay awake for, what sleep disturbances you have, and whether or not you have rapid eye movement while you are sleeping. If you get the PSG test during your sleep study, then chances are they are going to do a daytime sleep test the following day. This is called a multiple sleep latency test, and is going to be a sleep study test during the day, where you are just asked to take a short nap, multiple times a day. Typically, you will time it every 2-3 hours, aiming for a 20-minute nap each time. Your brain activity is viewed to look for the same things as an overnight sleep study test, including how fast you fall asleep, if you stay asleep during the nap, and if you reach REM in this period of time. These are the most common tests performed during a sleep study, though your doctor might have other tests that will help to rule out other causes for your symptoms. While there is no cure for narcolepsy, there are ways to treat the condition and minimize the symptoms. This is great news for those of you who get diagnosed with the condition after you have gone for a sleep study and had the diagnostic tests performed. There are three main areas of treatment for narcolepsy, including medication, lifestyle changes, and therapy. Here is a rundown of what each of these involves. The first treatment option your doctor will likely recommend is to take medication. This is usually in the form of anti-depressants, though there are some other options as well. Anti-depressants have proven effective in reducing a variety of symptoms of narcolepsy. Episodes of cataplexy, sleep paralysis, and hallucinations are reduced, while also helping the individual get a better quality of REM sleep at bedtime. SSRIs – The first option they might give you is to take an SSRI, or a selective serotonin reuptake inhibitor. The SSRI medications, like Effexor or Prozac, are antidepressants that help relieve some of the symptoms and side effects associated with narcolepsy. This might include reducing sleep paralysis and helping with your hallucinations if you have them. Unfortunately, there are also some potential side effects like digestive issues or weight gain. Stimulants – The next type of antidepressant is more widely used, which is a stimulating drug. You do have to be careful with stimulants, because there is the issue of them being addictive, or people who are sober and in drug recovery can’t usually take them at all. However, stimulants have shown to be effective at helping to balance out the central nervous system in people with narcolepsy. 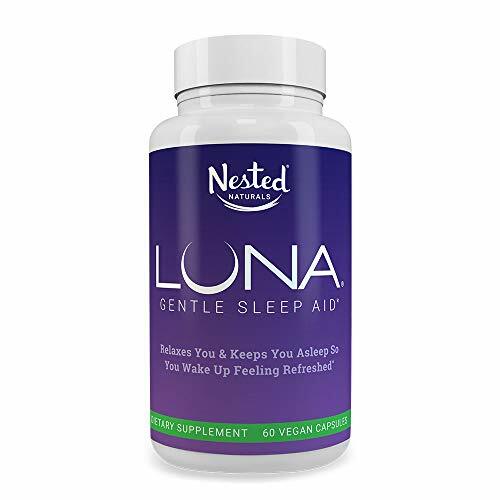 The main purpose of this is to help you stay awake during the day, so if your biggest symptom is excessive daytime sleepiness, then this is probably the best option for you. The good news about stimulants is that they usually have less side effects than most SSRIs. Tricylics – Next up are antidepressants known as tricyclic antidepressants. These are older versions, such as clomipramine and protriptyline, and not used as much in modern medicine. They are very good at helping with the muscle issues you experience with narcolepsy, but the side effects can be uncomfortable. Finding the Right Medication – You will need to work closely with your doctor to find the right medication. They will not only consider your symptoms and what needs to be treated, but also the combination of drugs in your system. If you have medical conditions that require medications for lowering your blood pressure or preventing blood clots, they might interfere with some of the medications given to people with narcolepsy. In this case, you might need to have them adjusted so there aren’t any negative reactions. The next part of treating narcolepsy is all about your lifestyle changes. This does not mean you can completely cure this sleep disorder with simple lifestyle habits, but in addition to medication and therapy, they can be very useful. Patients are also urged to make changes to their daily routines to promote relaxation and reduce anxiety. Changes may include limiting caffeine and alcohol intake, practicing relaxation techniques before bed, and improving overall sleeping conditions. Work on better sleep hygiene – Start by working on your sleep hygiene, which includes habits that help you to get better sleep, when you need to be sleeping. This means eating a healthy diet, having a dedicated sleep space that is set up to reduce distractions, and unplugging before bed. Get regular exercise – Everyone needs regular exercise, regardless of your age, weight, and health. With narcolepsy, exercise both helps to get adequate sleep and battle daytime fatigue, but also to help with muscle strength. Be careful with stimulating food and drink – If you are taking stimulants to manage narcolepsy, you don’t want to overdo it. Be wary of other stimulants in your life, including alcohol and caffeine. Stay organized with to-do lists – When dealing with daytime fatigue, stay on track with to-do lists as they help you remain focused on your most important tasks. Lastly, your narcolepsy treatment might include various types of therapy. This includes a combination of mental and physical therapy. A variety of therapies have also helped to alleviate the symptoms of narcolepsy, particularly treatments that promote better relaxation. Massage, acupuncture, and chiropractic treatments are just some of the treatments that have helped narcoleptic patients. Similar to the lifestyle changes, therapies are meant to coincide with the medication you are taking, not replace it. Your doctor might suggest meditation, mindfulness, traditional therapy for other mental side effects and relaxation, acupuncture, and many other options. Remember that sometimes it is all about trial and error when trying to figure out the treatment that helps you the most. If you have any symptoms of narcolepsy, it may be wise to seek medical treatment. While narcolepsy isn’t life-threatening in itself, it can create safety hazards in your daily routine. Additionally, this type of sleep disorder can affect your personality, your ability to function, and your overall state of health. By seeking diagnosis and treatment, you can receive the help you need to alleviate the condition.